Looks like they could have fit a couple of 12"s in there ... Someone had to say it. Perhaps. They did just release a sub with a pair of 12" woofers though. It is called the L22, and the price is surprisingly reasonable. The box is significantly bigger though. The enclosure is actually quite small, with no room for even 10" drivers. When you look inside it becomes even more apparent because of all the bracing. My first post here, but I have been browsing around for some time. I've been comparing frequency responses between F12G and F8. The plots of F12G seems to be totally smooth compared to F8. My goal is to use two F8s to augment Harbeth P3ESR and looking for some small sealed solution that would fit the room and not took too much attention. F8 is a perfect candidate due to its narrow profile. What do you say how these two compare to each other? 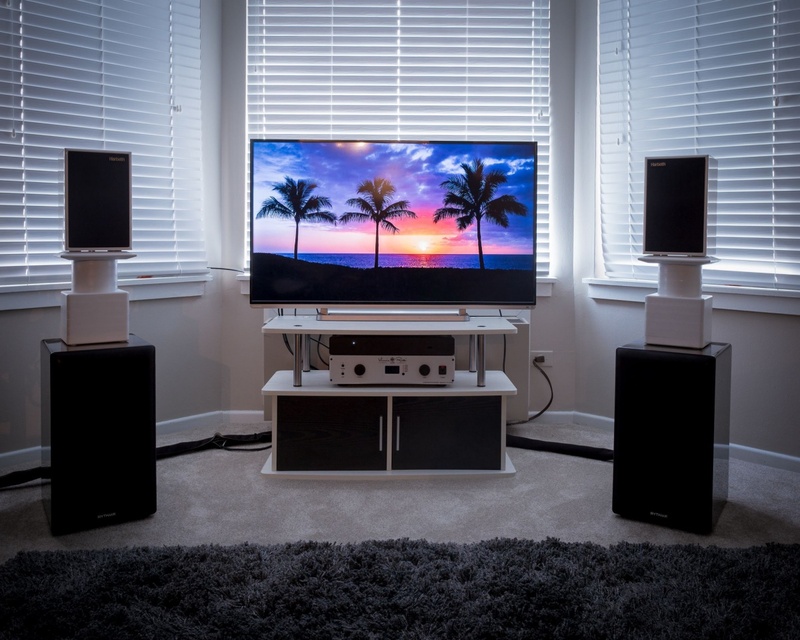 Is your setup for 2 channel music by chance? I'm guessing so by the speakers you have. Also, when you say "match the room" what does that mean? Is that from a visual perspective, size related, performance characteristics, something else perhaps? Both of the subs you're looking at are highly regarded, so it's not as though there's a bad choice, but there's probably one better suited to the task at hand. We'll need a couple more pieces of info and we should be able to help dial it in. Yes, its purpose is music, but I do watch movies or TV. Fit the room meant to aesthetically fit the living room. One other think to add is, I don't listen to the music (or watch TV) very loud and my goal is to simply extend the octave, perhaps a bit more of P3ESR. Just a quick update. I've been using two F8s with Harbeth P3s for five days and they are really, really good. I also purchased minidsp 2x4 to heal a bit the room modes. I am truly impressed with F8s. At the moment I have the crossover set to some 70Hz and run P3s full range, but have an option to modify my integrated amp to 4 channels. two with HPF 24db/octave and two full range. The only caveat being HPF frequency needs to be defined in advance i.e. it won't be adjustable. Having that said, this shouldn't be a problem as F8s have adjustable crossover and it can find its way to meet P3s. I am just not sure which point to choose. 80Hz is somehow HT recommendation, but F8s will be under P3s so localization of sound wont be a problem. I've read somewhere monitor speakers should be crossed over one octave higher from where they roll off. In this case that would be 150Hz, but I am not sure how will F8 behave if crossed so high. It is rather high for a subwoofer. Than then next option is 100Hz or 120Hz i.e. somewhere in between first two. What would be your thoughts or suggestions? What is the highest I should go with F8s? As mentioned before, HPF will be 24dB/octave so the same will be set on F8s back panel. My apologies for the late response - emails from HTS were not always coming through for some reason, and the notice that this thread was getting new posts was among the missing. Whether they're monitor speakers, bookshelf or tower the concept for crossover is pretty much the same; before your speakers run out of gas, that's where the crossover should be set. Ideally this is determined with measurements, but you can also very effectively use the manufacturers specifications. Assuming they're accurate, of course. According to Harbeth's website your speaker has an F3 of 75Hz, so for moderate volume I would suggest no less than 80Hz. Why qualify that statement with the word "moderate"? Because once you start pushing a speaker things change, so the more volume you like the further from that F3 you'll need to go in order to mitigate distortion (and seeing as how you have Harbeth speakers and a Rythmik subwoofer I'm guessing that's very important to you). Personally I would think you could easily do 100Hz with the F8 if you chose to do so, especially if you're using a 24dB roll-off. Just a quick update. Rythmik F8s are really remarkable subs. Perfect for music, lovely with movies. I added miniDSP between line level and F8s to get rid of some room issues in bass region. P3s are fed by amp which has HPF @100Hz 24dB/octave at the line level. All in all, I would highly recommend F8s to anyone who appreciates bass quality, especially the music lovers. goatfarm and bkeeler10 like this. 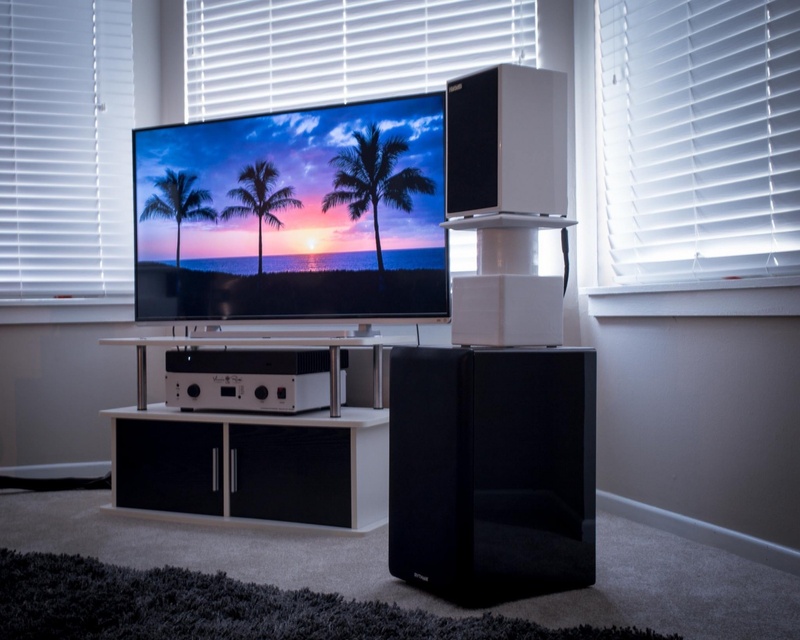 "The Rythmik F8 subwoofer is for anyone who savors composure and finesse, the discerning audiophile that also enjoys a good blu-ray movie on occasion"
Excellent review! I recently bought a pair of FMB 8's to provide some mid bass kick to my Sierra 2's. I think good mid bass response is a very underestimated element of good sound. 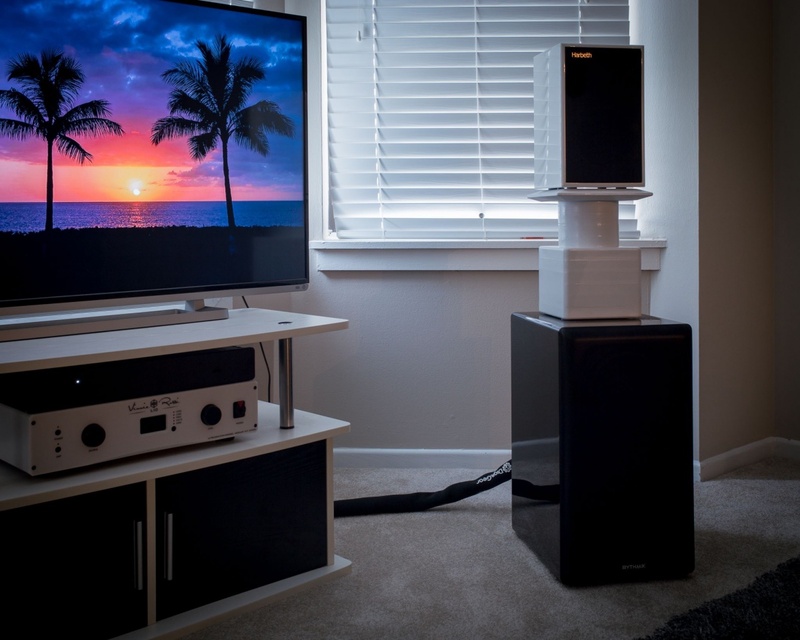 Are you using subwoofers in addition to the FMB 8's?